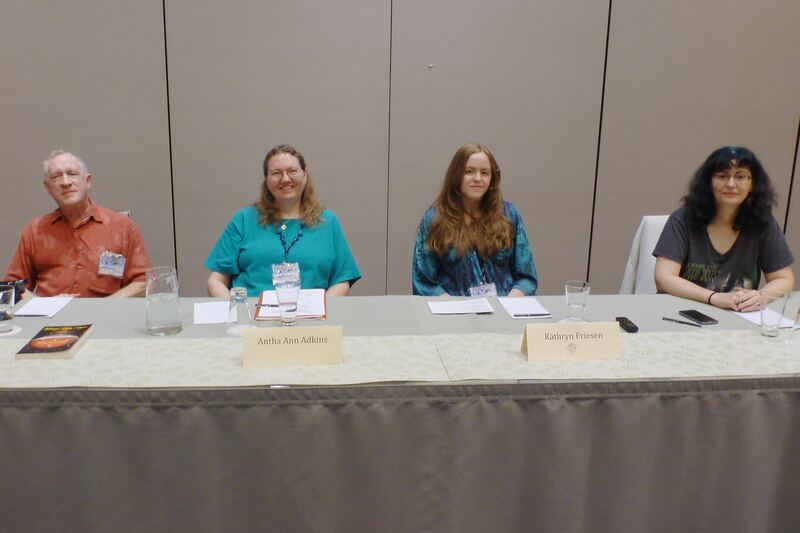 I had a blast at ApolloCon 2015, moderating one panel (whose topic was my suggestion!) and participating in three others. As an introvert, it’s tough for me to talk in front of groups and speak on the fly. This actually means that moderating a panel is much easier for me than being a panelist. But for the first time, I felt that I did a good job sitting in both chairs at all my panels. Maybe it was because we had such fun topics. My first panel was my suggestion: designing aliens. I got to discuss aliens with Larry Friesen (a veteran of many cons and a last-minute addition – thanks! 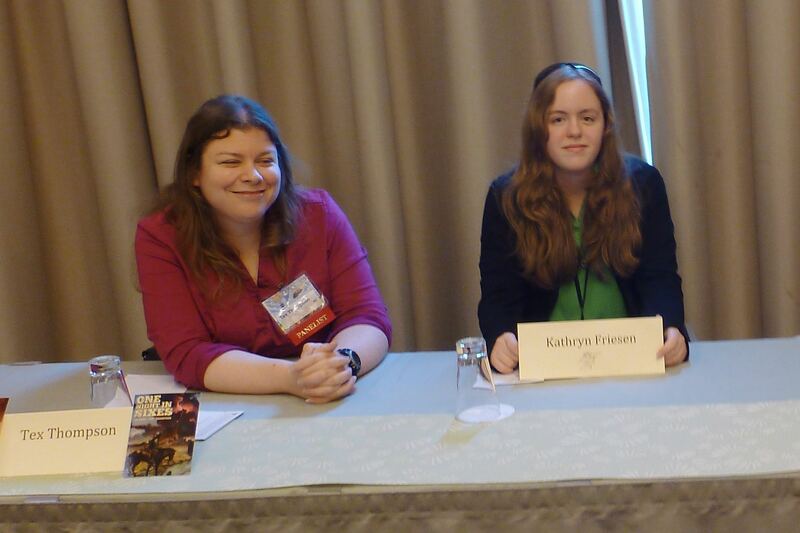 ), Kathryn Friesen (a new writer at her first con – welcome! ), and Martha Wells (whose books are fantastically rich). My second panel was about good (and bad) science in science fiction. Of course, it’s more fun to trash the bad than to praise the good. Lots of suggestions from our audience on this one. 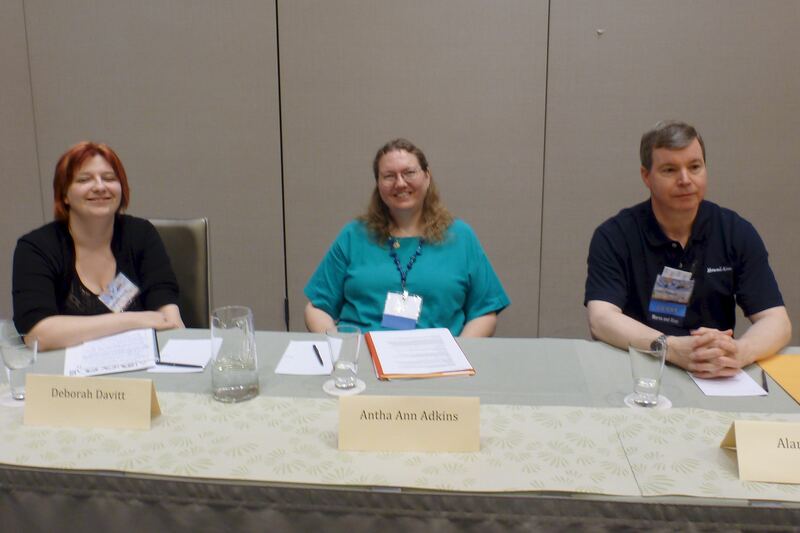 On the panel with me were Deborah Davitt and Alan Pollard. My third panel was on What if We *Are* Alone? We all agreed that we’re probably not, although we could be alone *now*, and we may never be able to reach anyone else. Are we the last ones? Could we be the first ones? So much story fodder. 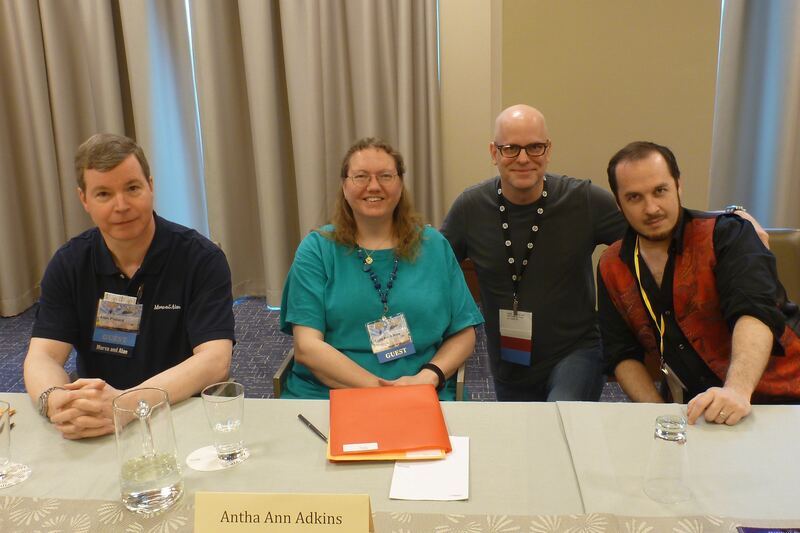 On the panel with me were Alan Pollard, D. L. Young (a friend from the Houston SFF Writer’s Meetup), and Marshall Ryan Marcesca. My fourth panel was on Translators and translation mishaps. Given that alien communication is one of my favorite subjects? Fun. 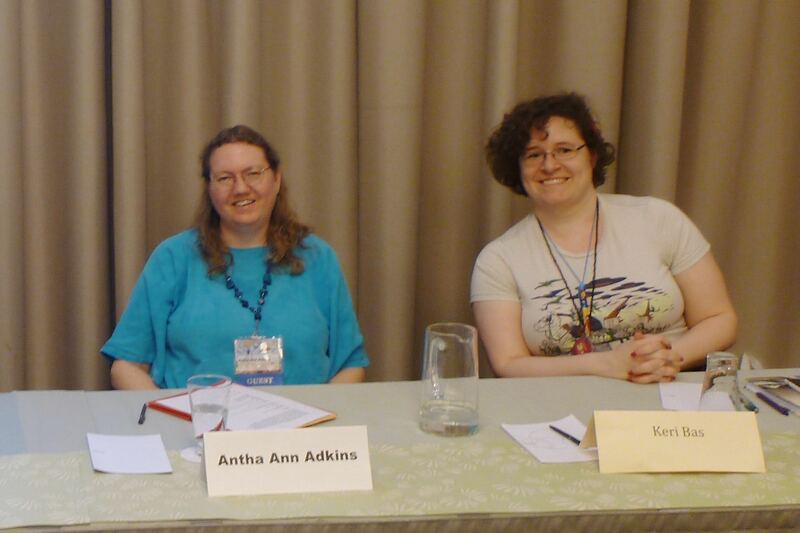 On the panel with me were Tex Thompson, Kathryn Friesen, and Keri Bas (a friend from the Houston SFF Writer’s Meetup). I’m looking forward to next year. If you’ll be there, please stop by and say hi!